It seems no matter how often the subject of dental insurance comes up, there are still questions and misunderstandings. I think it is because patients like to assume that since the premium was paid by the business where they work, it is taken care of—simple as that. Dental insurance is actually a prepayment plan. Consider this, when I pay my fire insurance on my house, I am nearly positive that I will not be making a claim. In contrast, when I pay my dental insurance, I often already have the appointments set up to receive care under the insurance plan. With dental insurance, usage of the plan is virtually assured. For that reason, it is not insurance in the same way as fire insurance. It is a prepayment plan to spread out the cost of dental treatment the patient is fairly sure he is going to need. I often hear patients say that if the insurance doesn’t pay, I must not need the treatment. This just simply doesn’t make sense. A person’s insurance plan pays for whatever group of services the buyer has decided will be most useful to its employees and that the buyer can afford. For example, if a business has primarily older employees whose children have moved away from home, it is unlikely that the boss will decide to include braces in the list of covered services. This is similar to when a person is deciding what coverage to buy for his car. If the car is old, he will likely decide against buying the collision coverage. In both of these examples, the insurance company is not deciding for you whether you need coverage for braces for the employees or collision coverage for your car. The list of covered items is a decision based entirely on economics and decided upon by the person buying the coverage, not the insurance company. This same sort of decision making process is common everywhere in the health and dental insurance area. For example, our provincial health insurance plan has decided that most adults are not covered for routine eye exams, and for most people no medications are covered under the provincial health insurance plan either. The officials of the health insurance plan are in no way saying that routine eye exams for adults and medications are not needed for the people covered under their plan. They have simply decided that they cannot afford to pay the expenses incurred by eye exams for most adults and medications for most people. In the same way, when a person’s dental plan covers a dental cleaning only once every nine months, dental plan officials are not in any way saying that the cleanings are only needed every nine months, simply that their plan will only pay for one cleaning every nine months. This is the same for crowns. 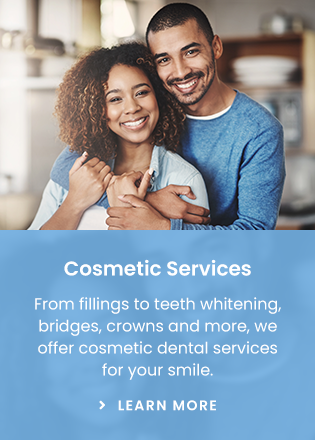 Just because a patient’s insurance company will not pay for crowns doesn’t mean that a crown may be the only way to restore a tooth for use. I had a patient a few years ago who had recently added many medications to his daily routine because of some significant health problems. He had all of his lower teeth in place. Partly because of his medications, and partly because of old age, his salivary flow had been significantly reduced. This caused the formation of 8 cavities in a six month period after no cavities for many years. Among other things, I suggested the addition of daily high dose fluoride because the science proves that this would significantly reduce the number of cavities he would expect. This individual decided that since his insurance would not pay for the high dose fluoride for home use, he couldn’t possibly need it. He had the eight cavities filled, and six months later, he had an additional 14 cavities and decided to get all of his teeth out and get a denture. Your insurance company is not making the decisions regarding what is and is not needed in your mouth. Your dentist can provide you with valuable individualized information about your oral health and needed procedures. Ultimately, it will be your decision whether to proceed with recommended dental work. The decisions should be made carefully because just as it was your decision what recommended work to have done, it will also be you who will have to live with the consequences of that decision. Ask your dentist for advice regarding your dental plan if you would like to understand more about how it works.